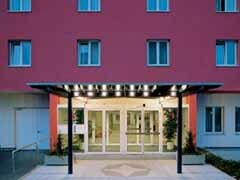 We have a range of hotels in Vienna, from luxurious	to family hotels, as well as accommodation ideal for business travelers. 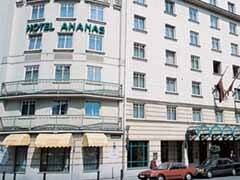 Our top airport hotels for Vienna are below, but you can also view more airport hotels here. 501 rooms, direct-dial telephone, satellite TV, pay per view films and video games, Canal+, wireless internet access, internet access, independent modem telephone line, mini bar, air-conditioning, toiletries kit, hairdryer, piped music, choice of pillows (firm, soft, duvet,...), buffet breakfast, early riser breakfast, 24 hour room service, rooms specially adapted for the disabled. 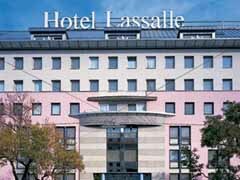 Our top leisure hotels for Vienna are below, but you can also view more hotels for families, couples or group travellers here. 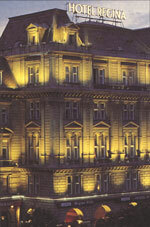 Sofitel Vienna Hotel is situated in the heart of the historic centre of Vienna. 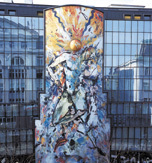 Right across the street from Sofitel Vienna Hotel are the Vienna Concert Hall and Akademie-Theatre and K�rntner Strasse, exclusive shopping area and Vienna State Opera are also only a few metres away. 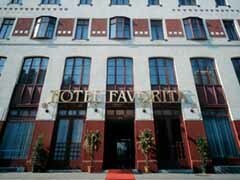 Its convenient location and outstanding services and facilities have made Sofitel Vienna Hotel a popular choice of accommodation in Vienna by travellers. 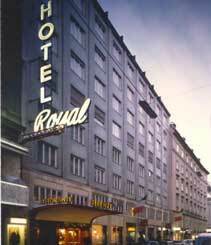 The Hotel Royal has been family-run since 1931 and is situated in a quiet area in the heart of Vienna - right next to St. Stephen's Cathedral and directly on the shopping streets: Graben, K�rntnerstra�e and Kohlmarkt. 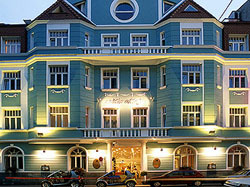 Due to its central location, the Hotel Royal is the perfect starting point for sightseeing tours as well as theatre- or opera-evenings. 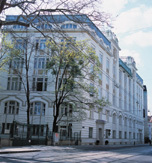 Parkhotel Sch�nbrunn was built in 1907 as the guest house of Emperor Franz Josef I. and today offers modern comfort to the visitors to the romantic city of Vienna. 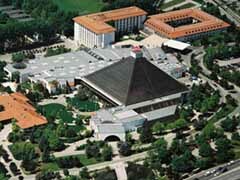 The hotel is located in the immediate vicinity of the "Sch�nbrunn Palace" and is surrounded by a park. 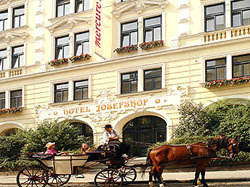 The imperial atmosphere of bygone days together with modern facilities and friendly service make the hotel unique in the city of Vienna. 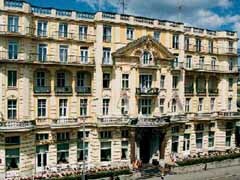 The Golden Tulip Hotel Reichshof was built in 1887 in a late classical style and is today �the individual stylish hotel� in Vienna. 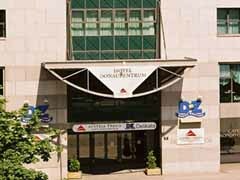 It is close to the city centre of Vienna and appreciated by its guest thanks to its modern facilities such as sauna, library, green court yard and Italian style cafe. 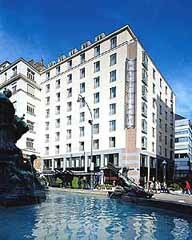 Centrally located, the Hotel Fürst Metternich is next to Mariahilferstrasse, Vienna�s longest shopping street and close to the main attractions of the city. In the building of the former Government Printing Office directly at the "Botanical Garden" of the Belvedere castle. Ring/Schwarzenbergplatz 500 m, city centre/St. Stephen's Cathedral 800 m, Austria Centre 2 km. 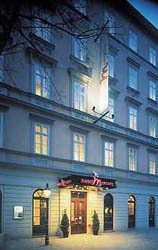 The hotel in the heart of Vienna is in walking distance to the historic city centre. 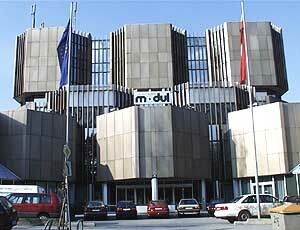 Subway Station nearby, close to Exhibition/Convention Center as well as to Prater and Donau Island. 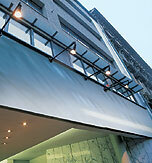 Glass-covered courtyard, 87 individually designed rooms. 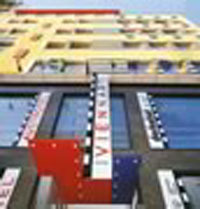 Garage, sauna, fitness. .
Centrally located next to Vienna Prater, close to the Vienna Fair and Austria Center Vienna. 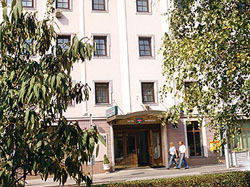 The hotel offers bar, restaurant, 3 meeting rooms and 166 air-conditioned rooms including non-smoking and 4 disabled rooms. Public parking available. 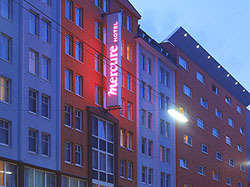 Situated near the Westbahnhof railway station and the famous shopping area Mariahilfer Strasse. 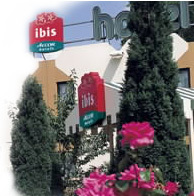 341 air-conditioned rooms with shower or bath, satellite TV, telephone and WLAN. 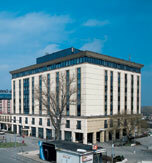 Restaurant, bar and conference rooms (170 delegates). 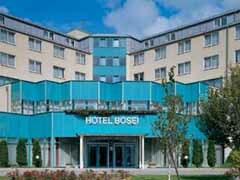 Our top business hotels for Vienna are below, but you can also view more hotels for business travellers here. 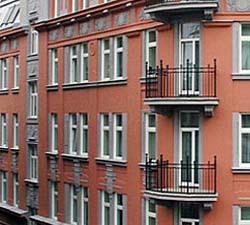 Apartments which feature an additional kitchenette. 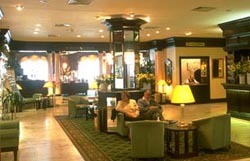 All Standard and Superior rooms as well as the Superior Suites are quietly located at the 4th and 5th floors of the building, all rooms are fully air-conditioned. We guarantee comfortable living in modern rooms and suites on spacey 23-61 sqm's and this with a remarkable view over the city of Vienna or over the vineyards of Vienna between Kahlen and Bisamberg. 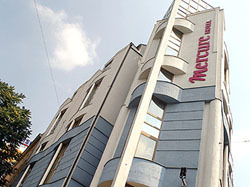 All our rooms and suites offer unique amenities: separate living and bedroom areas, separate bathrooms and WC's, all standards expected by business travelers such as Internet access, minibar, satellite TV, hairdryer, ironing, room service, underground garage, restaurant, bar, business center with secretarial services etc. 73 suites, direct-dial telephone, cable TV, pay per view films, wireless internet access, internet access, independent modem telephone line, mini bar, air-conditioning, hairdryer, buffet breakfast, room service. 106 rooms (including 86 suites), direct-dial telephone, cable TV, pay per view films, wireless internet access, internet access, independent modem telephone line, mini bar, air-conditioning, hairdryer, room service. 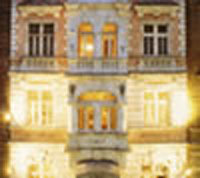 Our top luxury hotels for Vienna are below, but you can also view more luxury hotels here. 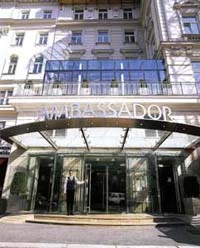 Since more than 100 years the hotel Ambassador integrates luxury, elegance and tradition like no other hotel in town.Since its conversion in the year 2000 the Ambassador offers its guests also the most modern communication facilities. 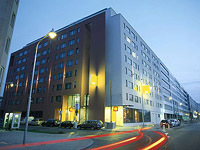 Being the first hotel in Vienna having all rooms equipped with a broadband-Internet connection. The unique position enables our guests to enjoy the cultural capital Vienna immediately - so you can reach St. Stephan�s Cathedral (Stephansdom), the Viennese Opera House as well as the Hofburg in a walking distance of 5 minutes.The pedestrian precinct K�rntnerstrasse with all its shopping opportunities is located right in front of our door and invites you to evening walks in the heart of the city. 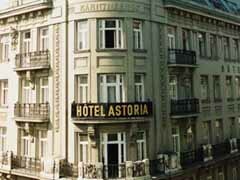 At the Hotel Astoria, a superior hotel with Viennese charm and tradition with best location at the well-known "K�rntner Stra�e", just a few steps from the famous Vienna State Opera.